This 2-minute stomach massage will put your gut into "rest and digest" mode. 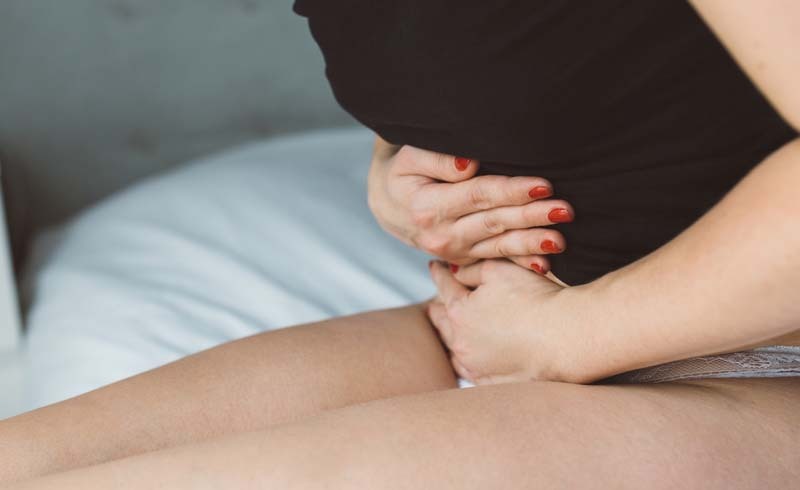 Wolfing down your meal might ease your hunger pains, but it can actually cause another kind of pain—the agony of an upset stomach. While a stomachache can signal a variety of things—from constipation to gas to food poisoning—there's one thing you can do to relieve and prevent tummy troubles: a stomach massage. McKel Hill, MS, RDN, LDN, founder of Nutrition Stripped, notes that digestion actually starts in your mouth, and that taking the time to chew your food and truly enjoy each bite in your meal promotes better nutrient absorption. "You can promote better digestion by eating slowly and not wolfing down your food. Taking sips of water in between bites helps your body break down the food and allow it to pass through the esophagus to your stomach," Hill said on her blog. But when you're stressed, it can cause inflammation to build up in your gut, resulting in gastrointestinal issues like diarrhea, constipation, and bloating. Hill also says that stress can cause your abdominal tissues to tense up, which can impede the digestive process. To help ease indigestion and relax your abdominal muscles so they do their job at breaking down food in your stomach, Hill recommends this two-minute stomach massage before eating a meal. Performing this stomach massage also helps relax your nervous system, so it signals to your gut that it's time to eat. "This belly massage can help you practice breathing and get your body, mind, and gut into 'rest and digest' mode," Hill explains.